2) “Lotsa Slots” – How to Play Slots. Our website also offers a link to FREE ONLINE CASINO GAMES so you can practice!!! Play our online slot machine for a chance to win a FREE Cruise with Buffet for Two. 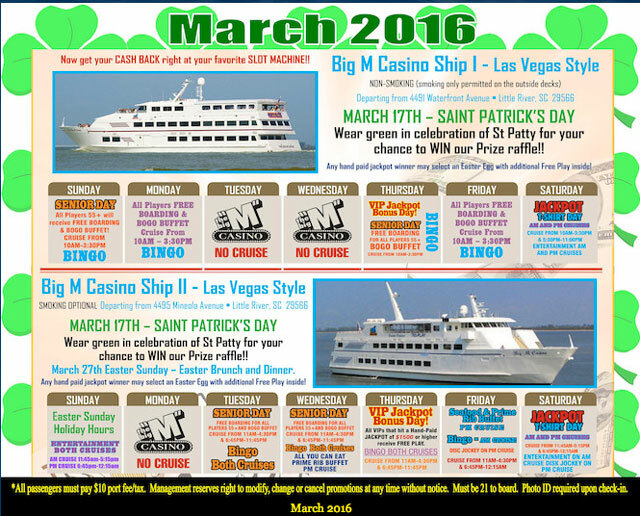 Make your reservations today online on a Big “M” Casino Cruise Ship – Myrtle Beach! You can also purchase your tickets online. 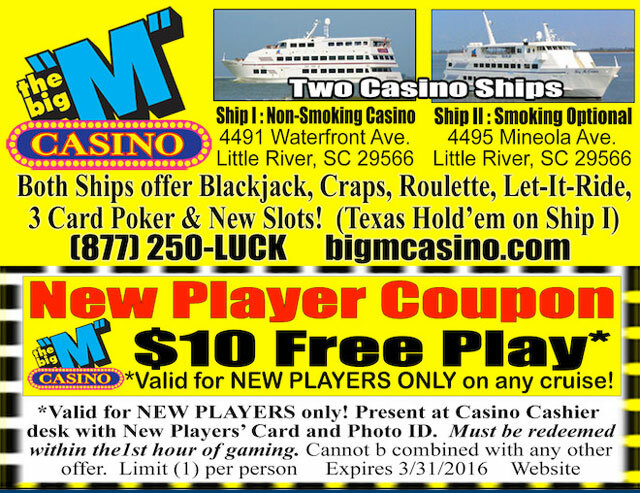 Sign up for our Cash Back Player’s Club! 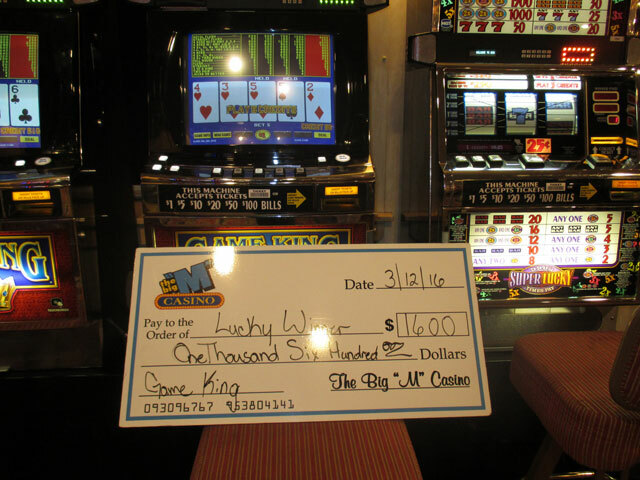 Don’t m iss the chance to earn points for cash back by playing the slot machines. Read more about getting your Player’s Club Card. 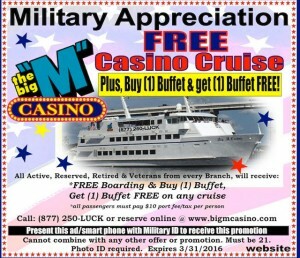 Did you know the Big “M” Casino Ships also offers Vegas-style casino table games and All-You-Can-Eat Buffets! Have questions? We will be happy to answer them. Contact Joshua or call 877-250-LUCK! April 2016 calendar. Any no cruise days? Ship I does not cruise on Tuesday & Wednesday! Ship II does not cruise on Monday!